Michael Polanyi (1891-1976) was an eminent theorist across the fields of philosophy, physical chemistry and economics. Elected to the Royal Society and the American Academy of Arts and Sciences, his contributions to research in the social sciences, and his theories on positivism and knowledge, are of critical academic importance. The three lectures included in this comprehensive volume, first published in 1959, argue for Polanyi’s principle of ‘tacit knowing’ as a fundamental component of knowledge. 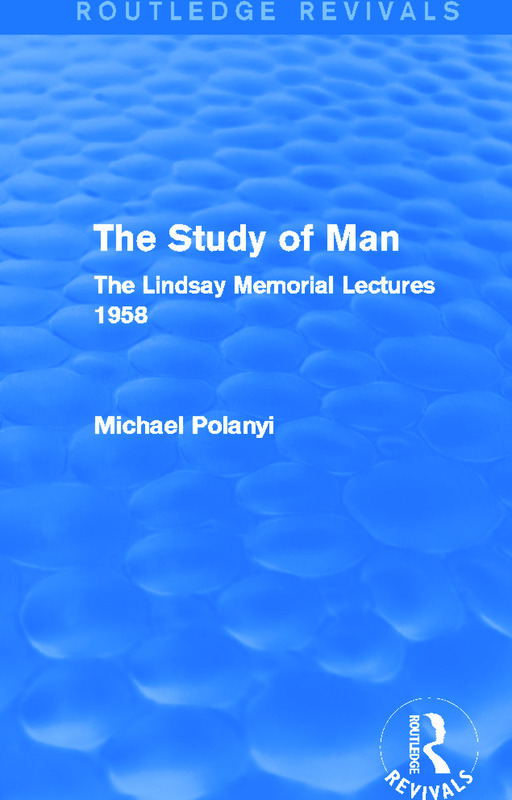 They were intended to accompany Polanyi’s earlier work, Personal Knowledge, and as a tribute to the philosophical and educational work of Lord A. D. Lindsay.